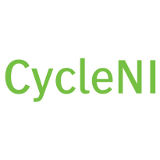 CycleNI is the definitive guide to cycling in Northern Ireland. It is an initiative of the Countryside Access & Activities Network for Northern Ireland (CAAN). The Countryside Access and Activities Network (CAAN) is an umbrella organisation which brings together groups and bodies that have an interest in, or involvement with Countryside Recreation.